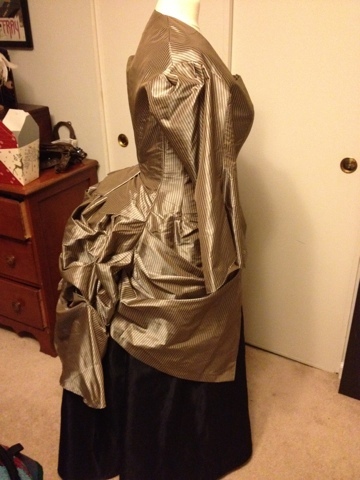 Corset is done. 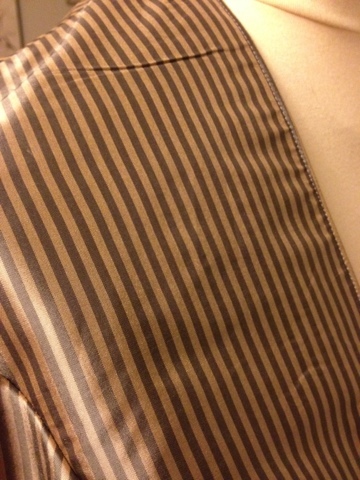 Fastenings are on all clothes. Clothes are on Brynhildr. All I have left is trimming it to death and then a last minute iron. However, I think trimming everything is going to take a LOT of time, so I am not out of the woods. I also lament my lack of a hat, but such is life. 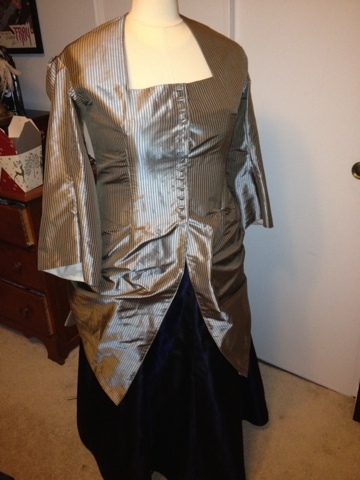 .... Ok here's front and side and what the fabric actually looks like up close since the flash blows it out. 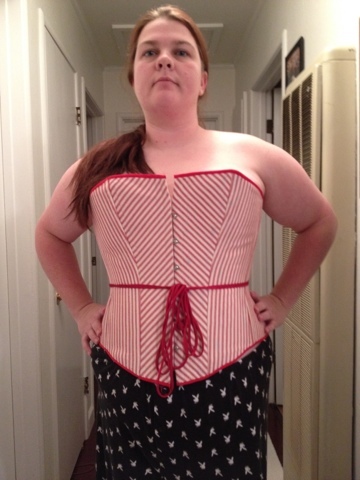 Also, my very first corset is done, so here's one of me in that.